1. You can edit comments. Use the little gear. Why RIP rockpuncher? Have they stated somewhere that hes definitely shelved now? The Rockpuncher still listed on one of the Trello pages, so who knows. Calm down SeaDragon. Who knows if that thing will be implemented or not? I'm sure it might be cool if it was, but not all concept art makes it into the game. 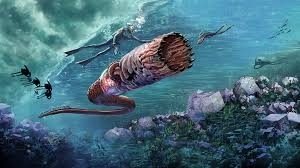 So yeah, I guess I can 'technically' agree that its a cool creature that could be added to the game, but don't go crazy over it. Also, please don't spam the comments. If you have any extra statements you forgot or left out of a previous comment, you can edit that comment instead of starting an entirely new reply. Leech confirmed in lava biome. The Lava larva is kind of a leech. That's the closest we can really get to the concept art. Thread necromancy on its finest. BTW, the rock puncher will be in the Arctic Expansion. They finished the basic animations for it in August.